Bruce Lecure (Professor Emeritus) was a tenured Full Professor and Movement Specialist in the Department of Theatre Arts from 1992-2018. Jerry Herman Ring Theatre patrons fondly remember his productions of The Grapes of Wrath , Cabaret, Noises Off, Cat on a Hot Tin Roof, The Colored Museum, The Dining Room, Hedda Gabler, and The Rivals . In 2016 he wrote, directed and conceived the Commedia dell ‘Arte original production of Look in your Mirror in the Hecht Studio Theatre. As an author, Professor Lecure wrote over 20 articles for numerous theatrical journals and magazines in his specialization of theatre movement education. In 2003, he created The Actor’s Biomechanics Lab, the only video-based physical assessment system ever conceived in theatre movement education. This ground-breaking system became the foundation of his movement work while at UM. Professor Lecure also directed professionally at the Caldwell Theatre Company, New Theatre, City Theatre, Florida Stage Theatre Company, and many others. His work as a Fight Director was seen throughout the country, serving in that capacity in over 100 productions at such theatres as The Asolo Repertory Theatre, Gables Stage, Florida Grand Opera, the Caldwell Theatre Company, the Coconut Grove Playhouse and many others. During his career, he was invited to teach over 100 master classes at professional conferences, universities, and professional venues throughout the country and abroad. 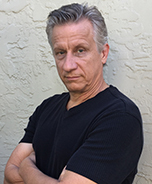 Professor Lecure holds the title of Certified Teacher and Fight Director in the Society of American Fight Directors (SAFD) and is Past President of the Association of Theatre Movement Educators (ATME), the national organization for theatre movement education. He received ATME’s “ Outstanding Service Award” in 2003 and 2017. Professor Lecure also received the University of Miami Instructional Advancement Center’s “ Excellence in Teaching Award ”, the University’s highest teaching award, in 2004.